At two and three years old, children are craving sensory experiences and gross motor movements. 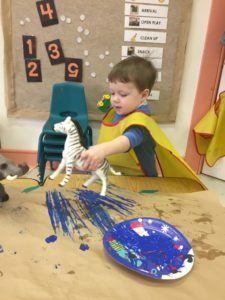 We provide these opportunities in our two-day class through open-ended, messy play. On this particular day, our morning started with some quiet painting. 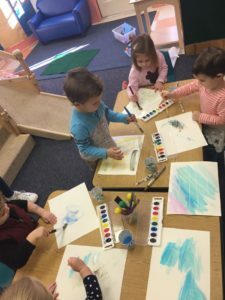 First we used water colors on top of white crayons. The kids enjoyed mixing the colors to make new colors and were so excited to see their “invisible” drawings appear. 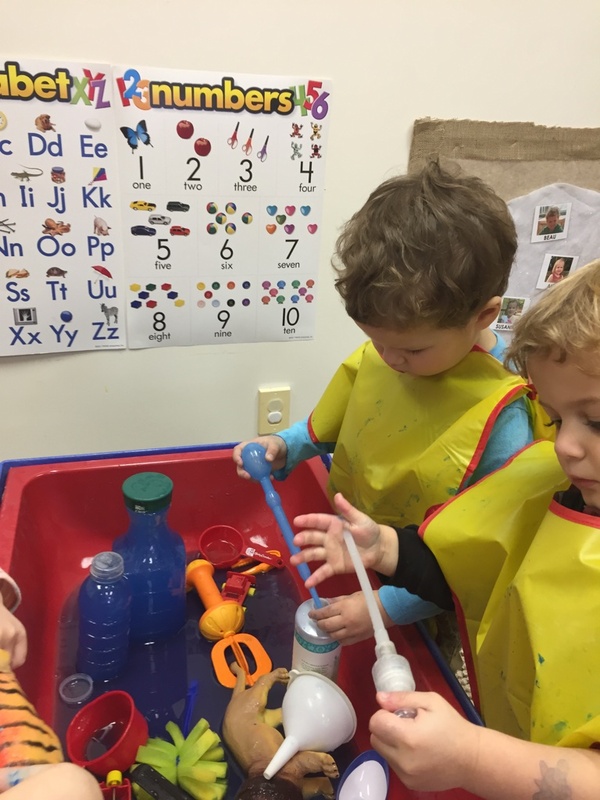 Seeing how much they enjoyed painting, we opened the water table while we gathered more paint supplies. We consider the materials in our classroom “loose parts”. This gives the kids permission to move items throughout our room as their imagination requires and puts them in charge of their own learning. 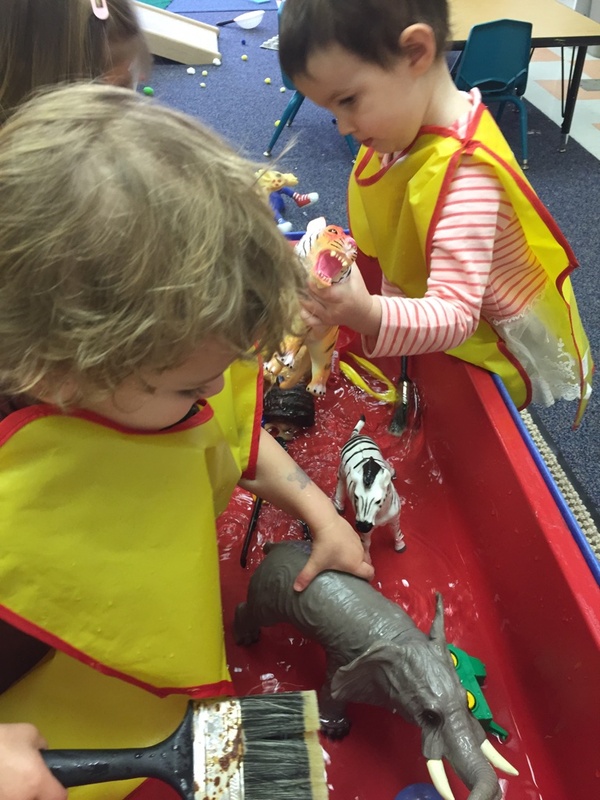 Some of us wanted to explore the water using our animals and cars. 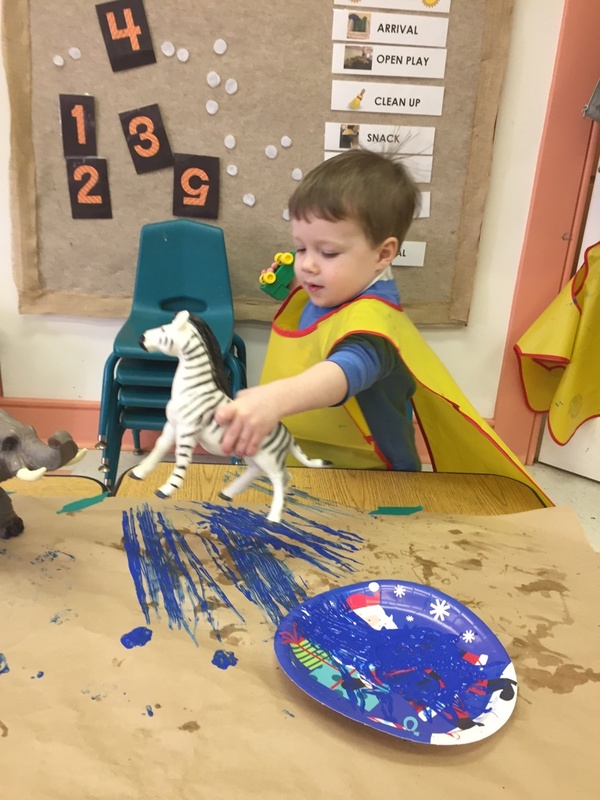 Naturally, this led to the question, “How do they work in paint?” We talked about how cars and trains were making straight lines and we examined our animals’ footprints. 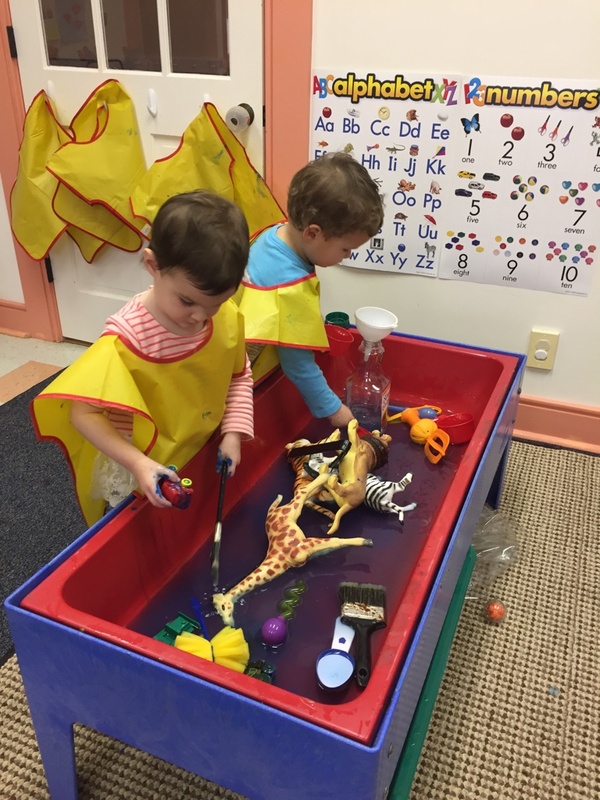 Our materials were now very messy, so we had to wash them. 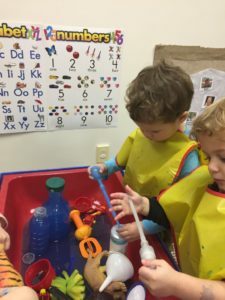 One of our missions as teachers at St. Mary’s Episcopal Preschool is to provide learning opportunities based on our observations of the children. We follow the child’s lead, providing them with materials that interest them, while also providing opportunities for them to grow their gross motor, fine motor, language, and problem solving skills. Paint and water sparked this day’s learning and we look forward to uncovering what sparks tomorrow’s.